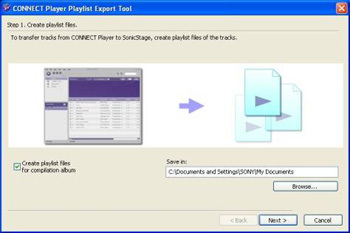 For users who wish to migrate from CONNECT Player to SonicStage CP, Sony offers this software to facilitate the transfer of files between CONNECT Player and SonicStage CP. 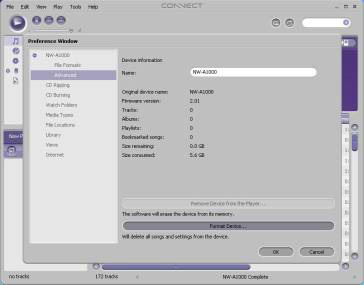 The CONNECT Player version must be Ver.1.0.04. 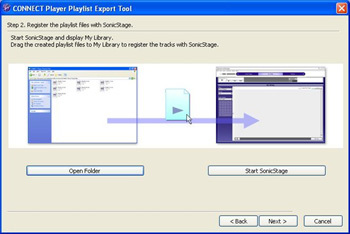 The software SonicStage CP (SonicStage Ver.4.0) must be installed on your computer. 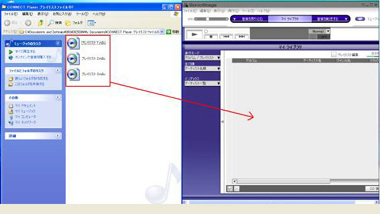 Delete all songs in Walkman A series (see the procedure here below to delete all tracks). Connect the Walkman to the CONNECT Player. Go to the Tools and then Advanced. NOTE: All songs and settings will be deleted. Move all songs using the SonicStage CP migration tool. Download the SonicStage CP migration tool CP-EXPORTPL-1.0.05.06190.exe (3.064.520 byte) on your computer. The application will start (see below). Click Open folder and Start SonicStage. 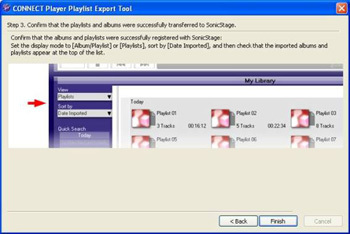 Drag the created playlist files to My Library to register the tracks with SonicStage. Set the Rating if needed. Transfer the contents of your Library to your walkman.